Ask a local what they think about Tel Aviv and, chances are, they will talk about the “energy” of the place – and there does indeed seem to be a special vibrancy here. Found on the Mediterranean coast, Israel’s second city is a diverse mix of old and new, beach and urban, traditional and modern – and there is something about these diametric opposites that gives the place a real dynamism. Perhaps it’s also a bit to do with having Jerusalem as its older sibling, but this is a city that feels young and happening – almost like it has deliberately set out to be something quite different. There always seems to be a new music night starting up or an interesting exhibition in town or the launch of an exciting concept restaurant. No wonder the New York Times dubbed it ‘the Mediterranean Capital of Cool’. If you are planning your first visit, however, it seems only right to start your explorations in the oldest part of Tel Aviv – namely the beautiful walled city of Jaffa (also known as Yafo) with its ancient port. Lovingly restored, the pretty lanes and alleyways are fascinating to walk through, and home to many galleries and shops. Another highlight here is the Jaffa Flea Market – a real hub of activity with vendors selling fascinating artefacts from across the world. Just down the road, you will also discover one of the most authentic dining experiences in the city, Dr Shakshuka, renowned for its speciality poached-egg dish. Nearby, on the square of the clock tower, there are amazing fresh breads to be found at the Abouelafia Bakery. 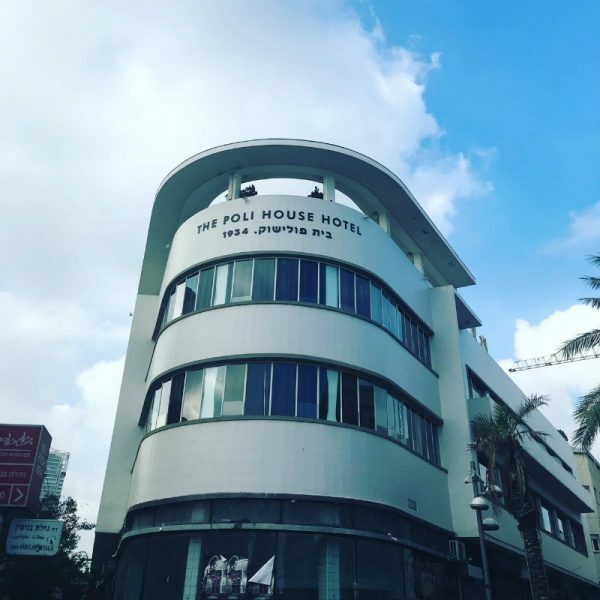 For a complete contrast to the age-old streets of Jaffa, head next to the heart of modern Tel Aviv, the White City, where you’ll find the 1930s Bauhaus buildings for which the destination is famous. A UNESCO World Heritage Site, it’s well worth making the time to wander around these curvy white buildings that are almost reminiscent of old steam liners. Incidentally, if you’re interested in finding out more about the city’s Bauhaus architecture, there’s an excellent tour that you can do. Organised by the internationally renowned Bauhaus Centre, it is itself home to a dedicated gallery, design shop and publishing centre on the theme. At the heart of this district is the city’s most iconic street, Rothschild Boulevard, which was one of the first to be built in the area little over a hundred years ago. As well as its distinctive architecture, here you will find some of the city’s leading restaurants, cafés and renowned coffee kiosks, plus the national theatre and concert hall. There are also several renowned night-spots, including, perhaps most notably, Alphabet, with its changing weekly DJ line-up, the ultra-hip BuXa and the atmospheric open-air bar of Rooftop on Rothschild. For those who like a little culture before their cocktails, Tel Aviv has some excellent museums and galleries too – such as the Beit Hatfutsot, whose multimedia exhibits illustrate the history of Jewish communities worldwide. Also, the Eretz Israel Museum covers the country’s archaeology, folklore and crafts, and features an on-site excavation of 12th-century-B.C. ruins. For the art-lovers, the Tel Aviv Museum of Art is Israel’s largest gallery. Back on our city trail, another place well worth a visit is the modern port of Tel Aviv. No longer used for commercial shipping, it has been converted into a dedicated leisure area, its unique wooden boardwalk lined with cafés, bars, restaurants, clothing stores and ice cream parlours, all of which are set within converted hangers. It is also in this area that you will find a ground-breaking new property development represented by VINGT Paris. Designed by one of Israel’s leading architects, this state-of-the-art new building combines luxury permanent residences with a five-star hotel (read more about that here). Another interesting district is the French area, ‘Neve Tzedek’, a beautifully restored neighbourhood in southern Tel Aviv featuring narrow lanes lined with pretty little buildings. The main focal point here is Shabazi Street, flanked with cafés and restaurants, and numerous galleries and boutiques. It’s easy to lose a couple of hours here, wandering around the shops and enjoying a coffee. 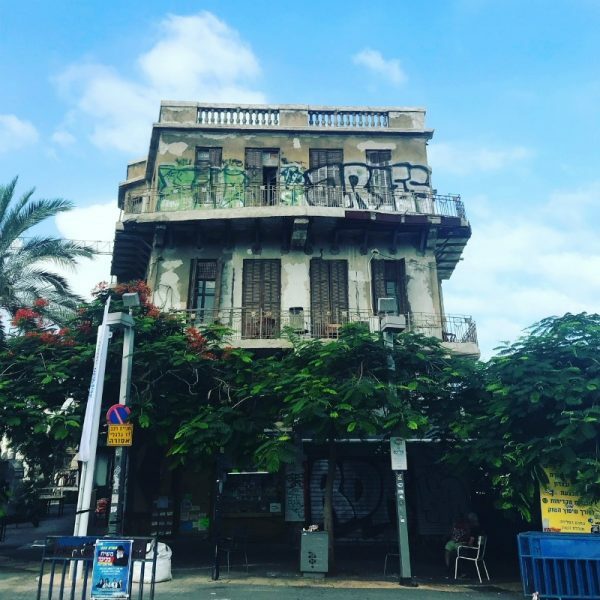 For a more authentic flavour, the neighbouring area of Florentin has yet to undergo the large-scale gentrification of Neve Tzedek. With its arty, alternative culture still intact, traders buy and sell clothing, artisans build bespoke furniture and buyers from across Israel throng the narrow streets. Also increasingly popular for its nightlife, tiny bars sell cheap alcohol and crowds overflow onto the sidewalks for pizza and falafel. Whether its snacks, shopping or souvenirs, Tel Aviv has a multitude of excellent markets across the city, all with their own particular flavour. The largest, Shuk Hacarmel (Carmel Market), is an authentic Middle-Eastern style shuk where traders sell everything from fresh fruit, vegetables and spices to clothing, local knick-knacks and electronics. Just remember that whichever one you choose to visit, haggling is part of the deal at any Middle Eastern market! 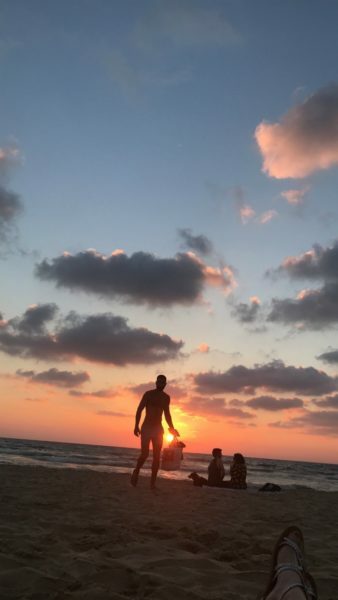 Of course, no trip to Tel Aviv would be complete without a day spent on the breath-taking beaches that stretch the length of the city. With their golden sands and the glistening blue of the Mediterranean Sea, they are always a hive of activity, whether it be with swimmers. sunbathers, or surfers. The Cassis beach, in particular, comes highly recommended. So, whatever it is you’re looking for, chances are you’ll find it in Tel Aviv. Not such a bad younger sibling after all.